There are countless natural products that have been isolated from microbes, plants, and other living organisms that have been shown to possess therapeutic activities such as antimicrobial, anticancer, or anti-inflammatory effects. However, developing these bioactive natural products into drugs has remained challenging in part because of their difficulty in isolation, synthesis, mechanistic understanding, and off-target effects. Among the large pool of bioactive natural products lies classes of compounds that contain potential reactive electrophilic centers that can covalently react with nucleophilic amino acid hotspots on proteins and other biological molecules to modulate their biological action. 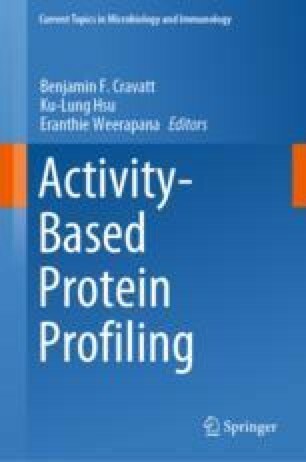 Covalently acting natural products are more amenable to rapid target identification and mapping of specific druggable hotspots within proteins using activity-based protein profiling (ABPP)-based chemoproteomic strategies. In addition, the granular biochemical insights afforded by knowing specific sites of protein modifications of covalently acting natural products enable the pharmacological interrogation of these sites with more synthetically tractable covalently acting small molecules whose structures are more easily tuned. Both discovering binding pockets and targets hit by natural products and exploiting druggable modalities targeted by natural products with simpler molecules may overcome some of the challenges faced with translating natural products into drugs.